SL-Pro custom leather handgun holsters are hand cut to order, in our leather shop located in Sarasota, FL. 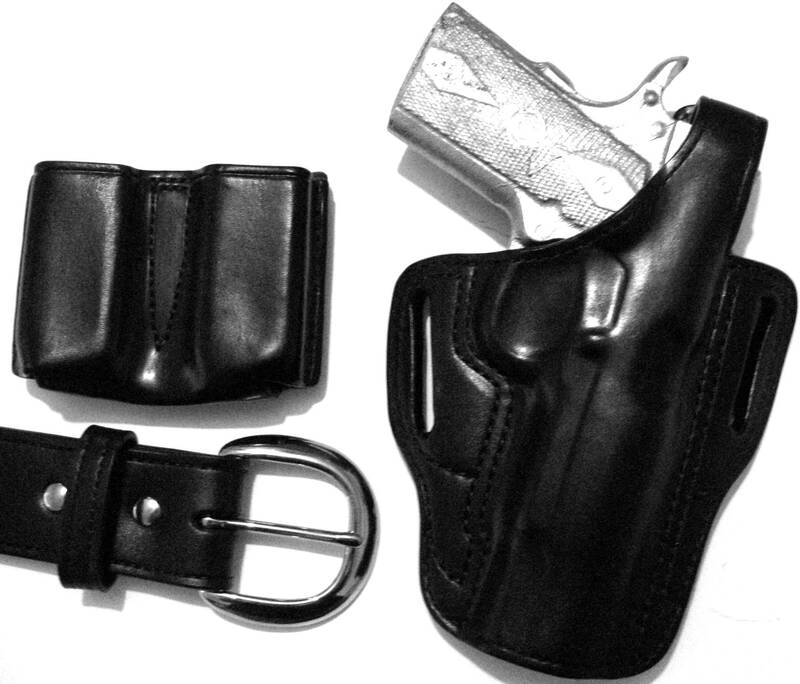 Our holsters are an excellent choice for concealed carry, personal protection, law enforcement officers on plainclothes assignment, off duty, hunting or range use. Wet molded to your specific revolver or pistol for a secure fit. Our holsters will provide years of service. Designed for comfortable, all day carry. Available right or left handed. Sorry, we do not stock holsters. SL-Pro concealed carry holsters and combination rigs are made to order for your Ruger, Kel-Tec, Springfield Armory, Smith & Wesson, Wilson Combat, Colt, Sig Sauer, CZ-USA, Glock, Beretta, Taurus, Rossi, Kimber, Ed Brown, Kahr, Heckler & Koch, Walther, Les Baer, Magnum Research, Bersa, Firestorm, Rohrbaugh, Seecamp, Autauga pistols or revolvers. New - Select holsters can be ordered to fit handguns equipped with Viridian Green Laser, LaserMax, Crimson Trace, ArmaLaser and SureFire WeaponLight systems. Important! Due to the custom nature of our products and shop backlog, your order will require six (6)months for completion. 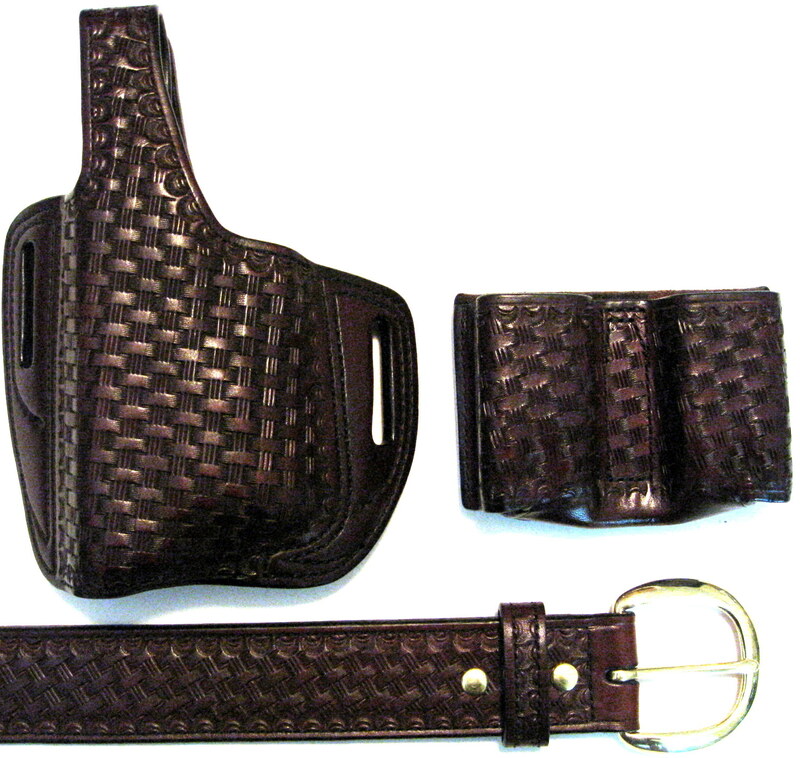 Each holster is made to your order and shipped as ready. Currently Shipping November 2011 Orders. Online orders are billed when placed. Please call our office to place order and delay billing. We appreciate your patience and understanding. Thank you. If you have any questions, please contact us or call 941-927-2544. Make sure that we support your Gun make and model before ordering. Monday - Friday 9:00AM - 5:00PM EST.